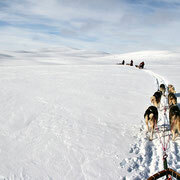 This expedition is for active fresh air loving people. 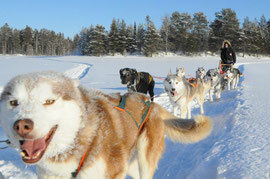 On this tour we go together for a few days with our sled dogs in the Lapland mountains. 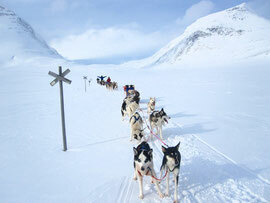 Immerse yourself totally and become a dog musher! 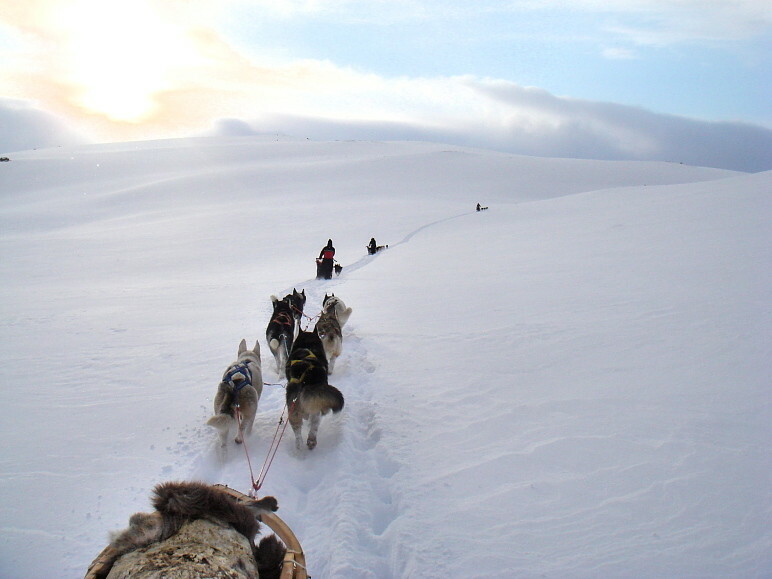 Spend time on a spectacular mountain trail and build a unique bond with your team of Huskies. to check out the place, unpack and settle in. talk about the days in the mountains ahead of us. everything for the coming mountaintour. "Spring winter", as the later part of the winter season is known in northern Sweden, is the ideal time for winter camping, offering longer hours of daylight and generally milder temperatures. The following 4 days you will be running a team of your own Siberian Huskies through some of Sweden's most spectacular mountain landscapes. 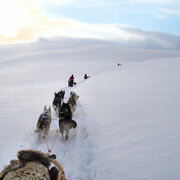 Along the way you will be camping wild in the mountain wilderness or at a mountain station for a taste of civilisation! 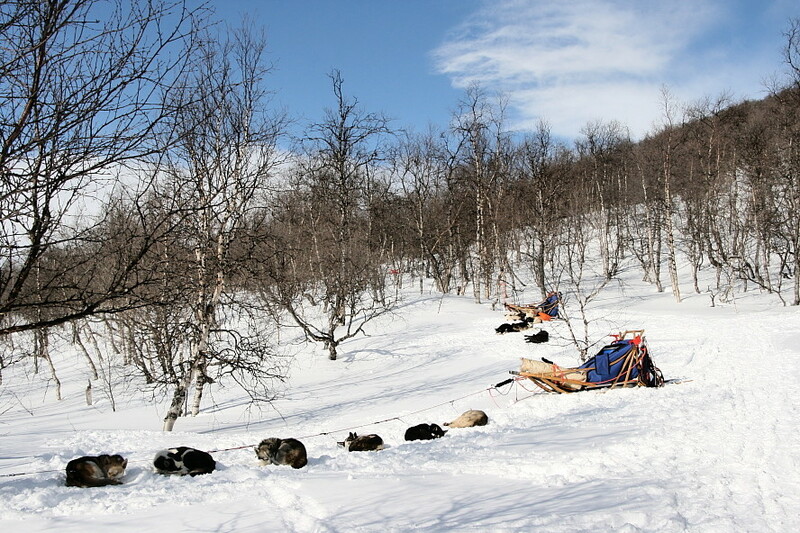 Each night you will tend to the needs of the dogs, building snow shelters when necessary to protect them from the mountain winds and melting snow for them to drink. 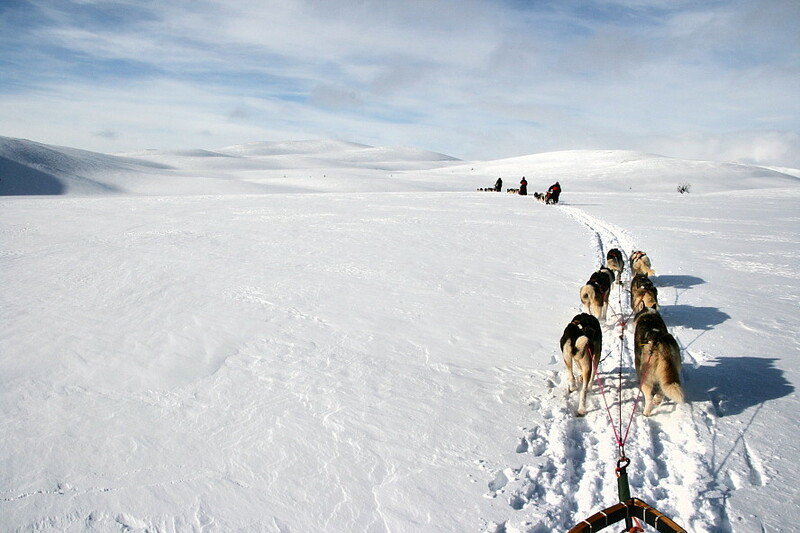 Each participant drives their own dogsled with team of Siberian Huskies. Day Off for relax and icefishing. we take you back to the airport. 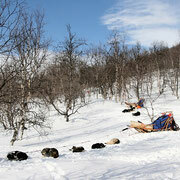 On the farm and pack and prepare for the expedition. Then the Expedition begins already on day 3. It depends of the weather. 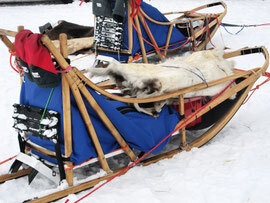 Maximum 5 persons per tour.